Hungary is a country in Central Europe, member of the European Union and the Schengen Border-less Europe Agreement. Top this off with Hungary's great accessibility in the middle of Europe, a vivid culture and economy, and you get a destination absolutely not worth missing if you're in the region. Hungary is one of the 15 most popular tourist destinations in the world, with a capital regarded as one of the most beautiful in the world. 1. Hungary is one of the oldest countries in Europe. It was founded in 896, before France and Germany became separate entities, and before the unification of Anglo-Saxon kingdoms. 2. Hungarian inventions include the noiseless match (János Irinyi), Rubik's cube (Erno Rubik), the ballpoint pen (László Bíró) and the krypton electric bulb (Imre Bródy). 4. Hungarian is officially among the most difficult language to be learnt and spoken. This has been certified by the British Foreign Office survey. There is daily overnight train from Bucharest (1735H) to Budapest (0850H) offered by Hungarian Railways for a minimum fare of 8,900 HUF (29 EUR), train #EN472. Online service is accessible but needs to exchange in any ticket machine located inside Hungary only, which gave me a real crossborder fear explained as follows. - Seats are not comfortable as seats are facing to each other and there is NOT ENOUGH space for legroom. Power outlet available and no wifi onboard. Toilet available. - ​fined 45 (200lei) Euro, equivalent of 186lei due to Hungarian railway ticket is not accepted by Romanian railway. Hungarian Railway already warned me via email query I made but still I gamble the 29Euro booked against the present 45Euro seat. - ​​around 0600H, held for almost an hour (alone) in Hungary railway border (from Romania) due to fingerprints not tallying in applied visa, which resulted to visiting the nearby police station and undergone a thorough 2nd line check. 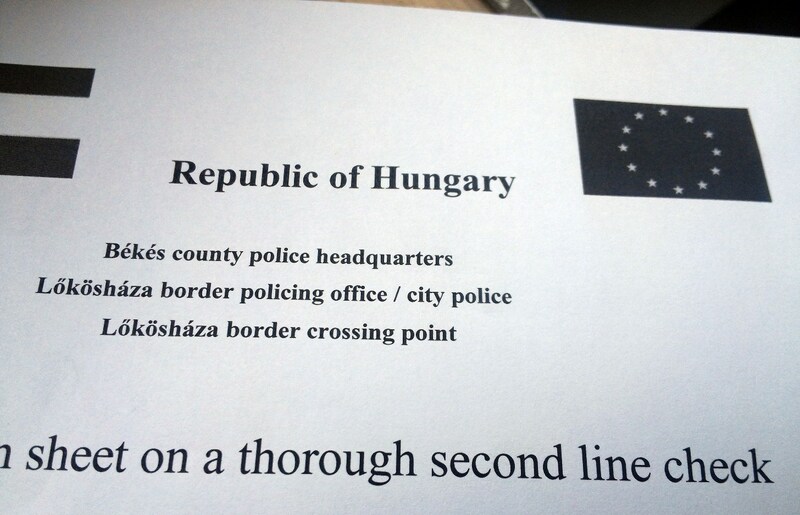 Hungarian border guards are nice enough to make me feel relax and showed me the procedures transparently.